Thomas Hardy’s Clym Yeobright: Madman? Heretic? or Blasphemer? In the last two pages of Return of the Native Hardy alludes to the fact that Clym preaching to the “heathmen and women” on Rainbarrow, just before his 33rd birthday echoes Jesus’s work on the Sermon on the Mount. Is this how Hardy wants us to see Clym, as a saviour to the unenlightened rustics of southern England? And then the question arises: is it the rustics who need to saved or is it Clym who is saving himself? Clearly there is a strand in the novel that would see the rustics as “whole” as connected to the land, as not needing any kind of “saving”, certainly not by someone who has taken every wrong step in their own personal life. But then another question comes: has Clym -through all the mistakes he has made – has he learned something about human existence that others might hear with great interest, learning something of value from this man who bases his teaching largely on his own human experience? At all events this seemingly tragic novel (with echoes of Oedipus Rex and King Lear) ends on a bright note. Not only do the rustics make a colourful appearance showing the continuation of “Merry England”, but Clym is presented as having risen above all the self-created chaos of his existence and finally doing what his soul has been telling him to do. He is now, from another point of view, a man who has found his destiny, who is preaching enlightenment from a position of having woken up to his own weaknesses. This is really an amazing novel, largely because of the intense discussion it provokes. It seems to speak to each generation presenting – as one student wisely put it (Thank you Claryssa)- a picture of all human experience: this is the story of each and every one of us. 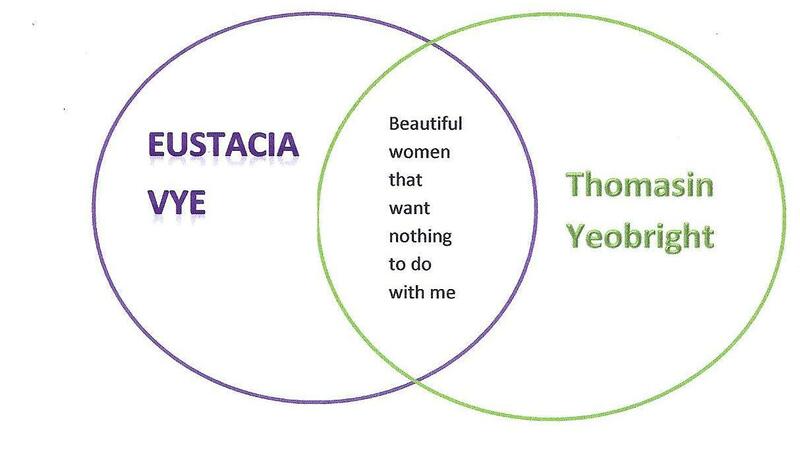 Imagine your are either Eustacia Vye OR Thomasin Yeobright and present your thoughts ( in a paragraph) on the kind of man you think Clym Yeobright is. Write a short critical analysis of the way that Thomas Hardy links his central protagonist with Jesus Christ and with the Jesus of the Sermon on the Mount in particular. Do you think there is any justification for Hardy to do this?